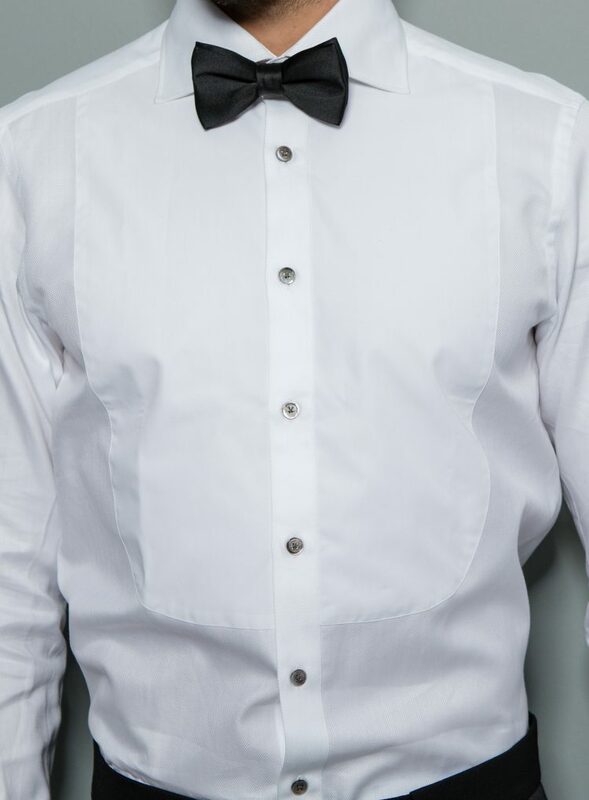 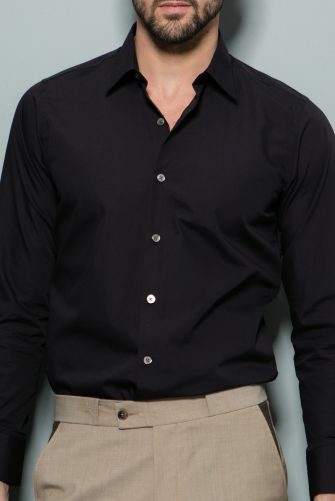 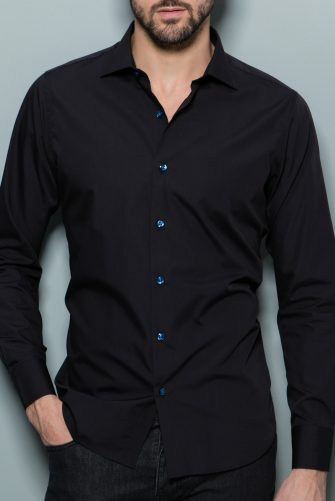 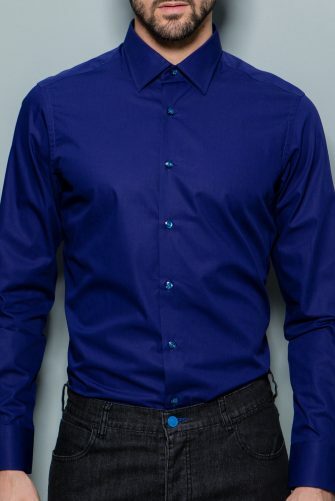 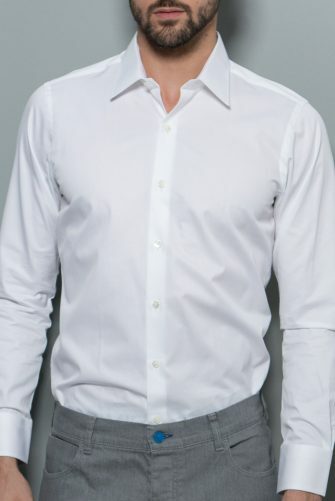 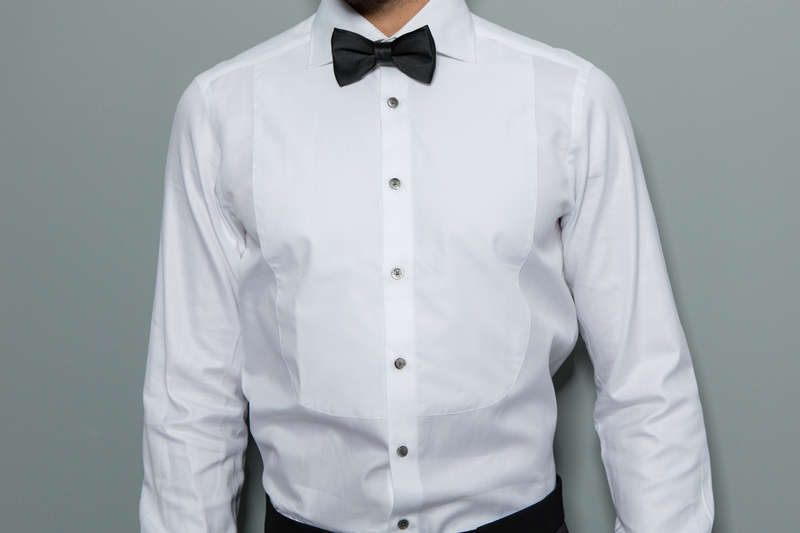 Although this shirt is certainly ideal for a black tie evening, consistent to the brand it’s more practical and versatile beyond wedding or tuxedo wear. 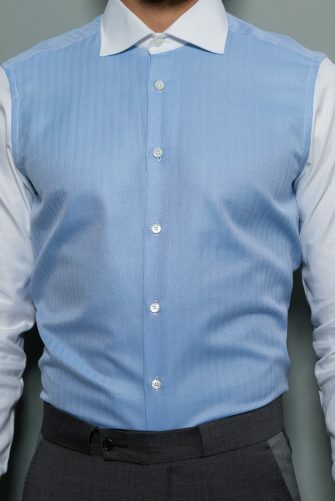 Made in Italy from Egyptian cotton, the spread collar and tailored fit creates a sharp look. 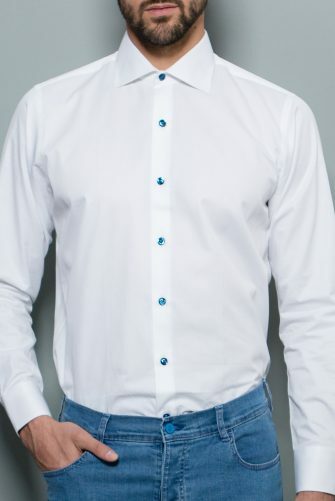 To elevate the feel, this shirt has french cuffs and mother of pearl buttons.